If you have a health plan that's compliant with the Affordable Care Act (ACA), your out-of-pocket maximum is no more than $7,900 in 2019. If you have more than one person your plan, the combined family out-of-pocket maximum can't exceed $15,800, although the plan must have an embedded individual out-of-pocket maximum that can't exceed $7,900. It's important to understand that your plan's maximum out-of-pocket can be lower than these amounts... it just can't be higher (unless you have a grandfathered or grandmothered plan). So you might have a policy with a $1,000 deductible and a maximum out-of-pocket of $4,000. That's within the guidelines of the regulations, and is quite common, depending on the metal level of the plan (bronze plans tend to have the highest out-of-pocket maximums—often at the highest possible level—while gold plans (and platinum plans in areas where they're available) tend to have the lowest out-of-pocket maximums, typically quite a bit lower than the maximum allowable level). In January 2019, the Department of Health and Human Services (HHS) released proposed Benefit and Payment Parameters for 2020. In it, HHS addressed a wide range of issues, including out-of-pocket maximum limits, just as they do each year. For 2020, HHS has proposed an out-of-pocket maximum of $8,200 for an individual, and $16,400 for a family (embedded individual out-of-pocket maximums are required on family plans). Again, there will be plenty of plans available with lower out-of-pocket maximums. But no new plans will be able to have out-of-pocket maximums above this level, assuming the out-of-pocket caps are finalized as proposed (as has been the case in each previous year). For perspective, the out-of-pocket maximum in 2014—the first year that ACA-compliant plans were available—was $6,350 for an individual, and $12,700 for a family. 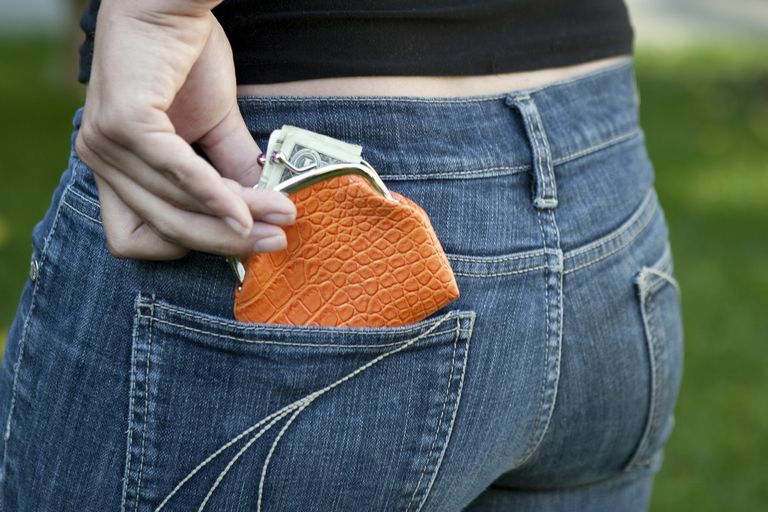 As of 2019, the out-of-pocket maximum has increased by more than 24 percent. And by 2020, assuming the proposed amounts are finalized, the out-of-pocket maximum will have increased by 29 percent since 2014. Why does the out-of-pocket maximum increase each year? Essentially, it's a method of keeping premiums in check, and keeping up with medical inflation. And for 2020, HHS has proposed a change in how the formula works (details are in the proposed Benefit and Payment Parameters), which will end up making the out-of-pocket maximum 2.5 percent higher than it would otherwise have been. In previous years, HHS has used a formula that compared the average current annual per-enrollee health insurance premium for employer-sponsored plans ($6,396 in 2018, which was used to calculate the changes for 2019), with the average annual per-enrollee health insurance premium for employer-sponsored plans in 2013 ($5,110). But for 2020, they've proposed including premiums for individual market plans, along with employer-sponsored plans, in the calculation. Here's how this worked for 2019: First, we look at how much higher the average employer-sponsored premiums were in 2018 versus 2014. So we take 6,396 minus 5,110, and get 1,286. Then we divide that by 5,365 to see the percentage increase in average per-enrollee premiums for employer-sponsored plans. We get 0.25166, or about 25.2 percent. Now we take the initial out-of-pocket maximum that was established for 2014 ($6,350), and increase it by 25.2 percent. We end up with about $7,950. But there's a provision in the regulation that requires HHS to round down to the nearest $50, so the result was rounded down to $7,900. In a nutshell, the idea is that average employer-sponsored premiums increased by about 25.2 percent from 2013 to 2018, so out-of-pocket maximums had to also increase by roughly the same percentage from 2014 to 2019 (because they round down, the effective increase in out-of-pocket maximums was slightly smaller). For 2020, HHS has proposed looking the change in average private market premiums, including both individiual market premiums and employer-sponsored premiums, from 2013 through 2019. Policy analysts have noted that this will result in a larger out-of-pocket maximum, since premiums in the individual market have increased more sharply than premiums in the employer-sponsored market (but that's due to the drastic changes in the individual market due to the ACA; it's impossible to compare apples to apples when we look at individual market plans in 2013 versus individual market plans in 2014 and beyond). Regardless of whether the formula includes individual market premiums or only premiums for employer-sponsored plans, it's possible that out-of-pocket maximums could decline from one year to the next, if average premiums declined. 2020 will be only the sixth year of having mandated limits on out-of-pocket maximums (before 2014, insurers were free to set their out-of-pocket maximums as they saw fit). And although out-of-pocket maximums have increased each year thus far, there's no rule that says they will continue to do so every year. A plan's out-of-pocket maximum (also referred to as maximum out-of-pocket) is the total amount that the patient would have to pay in a given year for in-network treatment that's classified as essential health benefits. If you receive care outside your plan's network, the out-of-pocket maximum can be higher, or it can be unlimited. coinsurance (the percentage of the claim that you pay after you've paid your deductible, but before you've met your out-of-pocket maximum). Not all plans include all three of those areas of spending. For example, an HSA-qualified High Deductible Health Plan typically won't include copays, but will have a deductible and may or may not have coinsurance (in some cases, the deductible on the HDHP is the full out-of-pocket maximum, while other HDHPs will have a deductible plus coinsurance in order to reach the out-of-pocket maximum). Once you've reached the out-of-pocket maximum for the year, your health plan will pay 100% of your in-network, covered costs for the remainder of the year. But if you switch plans mid-year (as a result of a qualifying event that triggers a special enrollment period), your out-of-pocket costs will start over with the new plan. And even if you keep the same plan year after year, your out-of-pocket costs will start over at the start of each year. The ACA's requirement that health plans cap out-of-pocket costs applies to individual and group plans, including large group plans. But grandfathered plans are exempt, as are grandmothered individual and small group plans. Large group plans are not required to cover the ACA's essential health benefits, but to the extent that they do, they cannot require the member to pay more in out-of-pocket costs than the annual maximum that applies for that year. Federal Register. Department of Health and Human Services. Patient Protection and Affordable Care Act; HHS Notice of Benefit and Payment Parameters for 2020. (proposed rule). January 24, 2019. Aron-Dine, Aviva; Broaddus, Matt. Center on Budget and Policy Priorities. Change to Insurance Payment Formulas Would Raise Costs for Millions With Marketplace or Employer Plans. January 18, 2019.